50% off your first Mosquito Spraying! Professional and humane removal of raccoons, bats, coyotes, opossums, wild hogs, birds and many more. Whether you are planning an event or just wanting to enjoy your backyard, we will bust your mosquito problem. 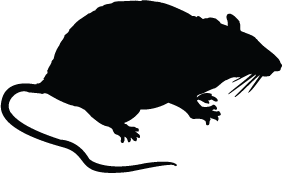 Whether big or small, we can stop your pest problem fast! Including rats, moles, ants, fleas, and many more. Fill out this simple form and we will contact you with a free quote for any of our services. Be sure to include what type of service you need. You can enter "Mosquito spraying", "Raccoon in attic", "Dead animal removal", etc. We will get back to you right away so you can get back to enjoying your home and property. Nuisance Animals: Did you know? Did you know that a nuisance animal (fur bearers) within 100 yards of a residence can be removed without the requirement of a permit? Those that do require a permit can be obtained by us at Wilson Wildlife Management through the South Carolina Department of Natural Resources (SCDNR) without the landowner worrying about which permit is needed, extra costs, or taking time to fill out lengthy forms. We are here to make sure the removal process is easy and painless for you as it is for the animal itself. Many wild animals in South Carolina have become displaced as the result of urban growth and destruction of of their habitat. While some species may move to other areas where natural habitat exists, some species actually thrive in urban settings. Species such as raccoons, opossums and even feral hogs. Wilson Wildlife Management provides a professional removal service of nuisance animals such as squirrels, moles, raccoons, opossum, snakes, feral hogs, and many more. Plus, with our Pesticide Applicators License I'm able to spray for mosquitoes, fleas, ticks and ants. Please don't hesitate to call with any questions you may have or if you would like to schedule a consultation. We are always eager to meet with our clients face to face to give them a better understanding of their particular nuisance animal situation and the services we provide.